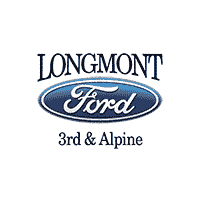 Schedule a service appointment for your new Ford vehicle at Longmont Ford, serving the greater Longmont, CO area. Our auto technicians are certified when it comes to working on all 2018 Ford vehicles. You can trust that our team of mechanics will have your repair done right the first time. We understand that having a reliable car is important to you, which is why we make sure our repairs are affordable and completed in as little time as possible. Our goal is to get you back on the road quickly, in a vehicle that won’t let you down. Call our Ford service department at (303) 776-3600, or visit your local new car dealership. We look forward to helping you with all of your vehicle service needs!